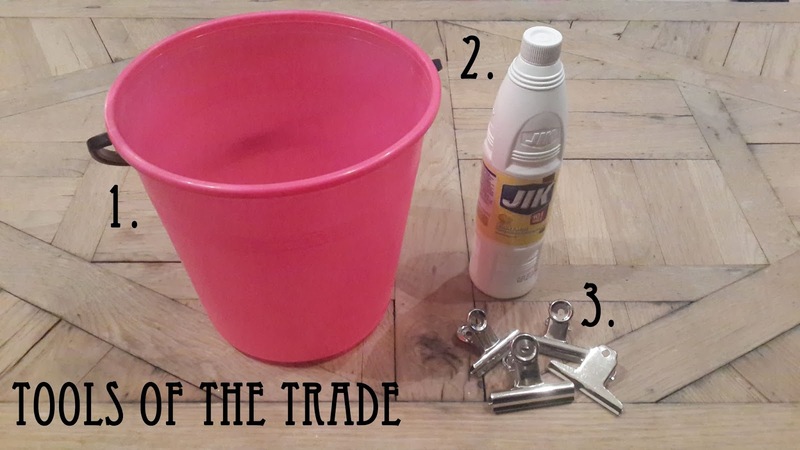 Hello DIY'ers! 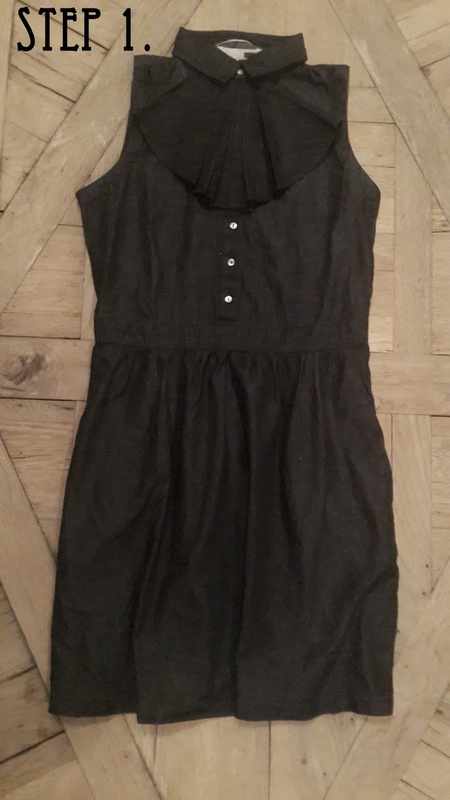 I adore my Levi's inspired DIY's every month... this month I decided to give myself the brilliant challenge of dip dyeing this fashion forward Levi's dark denim dress to give it an ombre feel! First things first... with dip dyeing or bleaching any garment you need to understand its less of a science and more of an art.. The beauty is in the imperfection! (And its part of the look). Now decide which part of the dress you want to bleach. 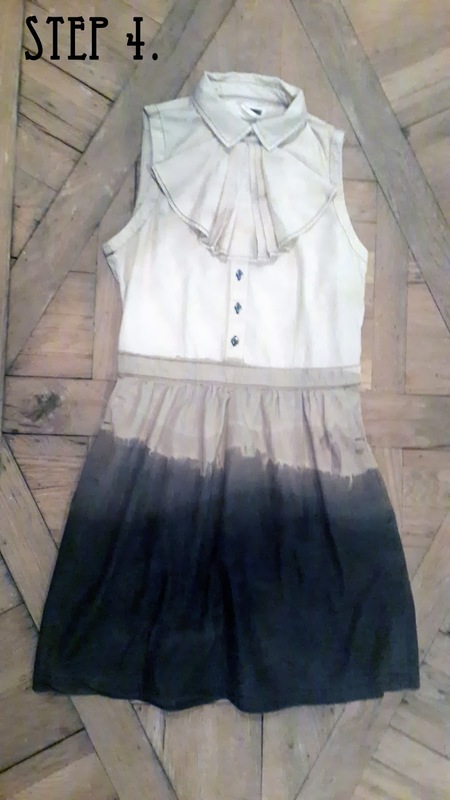 I decided to begin by dip dyeing the top half of my Levi's denim dress. Pour warm water and your bleach into your bucket, mix well. 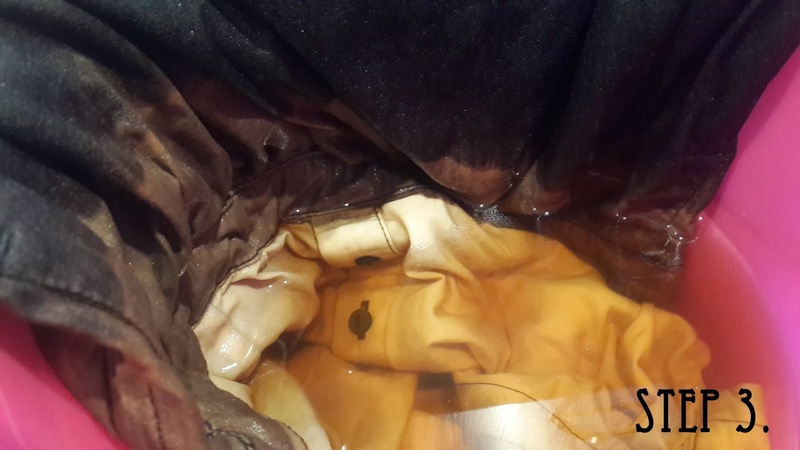 Now carefully lower the part of your Levi's dress you want dip dye into the bucket/ bleach water. 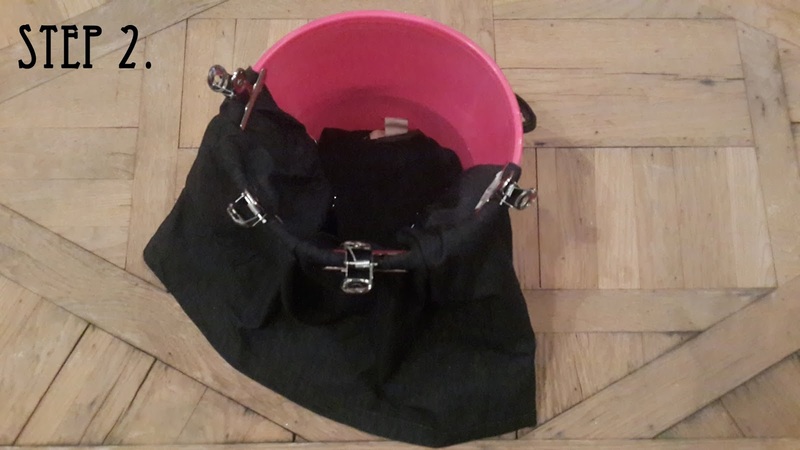 Once in place clamp the dress to the rim of the bucket with your clamps, holding it firmly in place. I dipped the top half of my Levi's dress up to the waist band. Once your first layer has bleached out to a colour you like, move the dress further into the bleach water to create your next dip dye layer. This will create an ombre effect. You can do as many or few layers as you like. When you are happy with how your dress colour has bleached out take it out of the bucket, and pop it in the washing machine for a good wash. Hang out to dry, then wear wear wear!